What Is Biohacking and What We Can Do For Better/Healthier Life? Biohacking is a term that few people have heard of. However, as modern technology grows, biohacking is bound to become more and more popular. Biohacking is what you get when you combine biology with hacking. It’s a way for individuals to effectively “hack” their bodies to achieve certain goals. 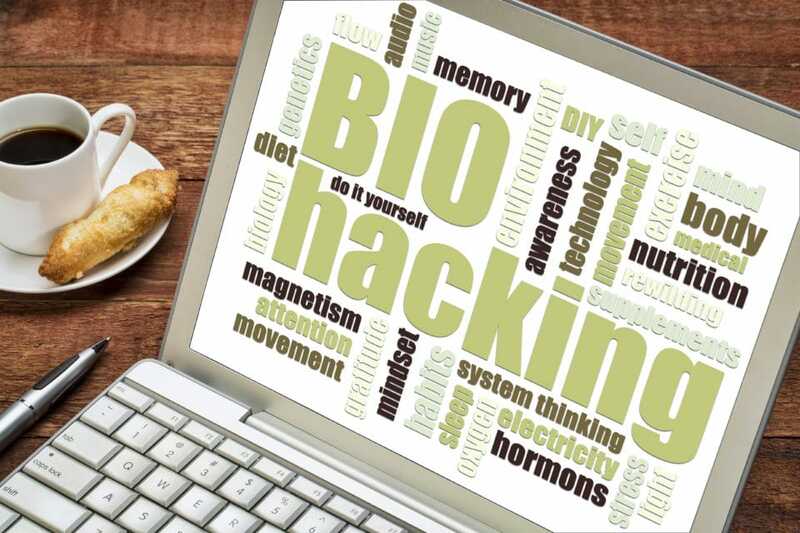 Biohacking is the practice of managing your own biology using medical, nutritional, physical, or electronic techniques. Ultimately, biohacking is a systems-based approach to managing your body. It is based largely on the concept that what we put into our bodies has a huge impact on how we feel. If we want better “outputs” from our systems (like reduced diseases, better memory, better focus, and superior athletic performance), then we need to improve our inputs. What Can We Do For Better/Healthier Life? Another way you can improve your diet is by trying an elimination diet. Many of us are carrying hidden, unknown food intolerances without even realizing it! We need to be eating as many nutrient-rich, wholesome foods as possible. But knowing which foods to steer clear of is also a pretty big deal. If you suspect a specific food item you regularly consume is causing you trouble, whether it be digestive distress, headaches, bloating, or anything else unpleasant, try eliminating it from your diet for four weeks. You’ll need to wait at least that long before you see and feel tangible results from a food elimination. If, after four weeks, nothing has changed, it’s time to try eliminating something else. Sooner or later, you’ll pinpoint the food your body doesn’t agree with. Invest in blackout curtains: Light pollution can wreak havoc on our hormones when we sleep. Light may be interfering with your ability to get a proper night’s rest without your knowing it! If you don’t already own blackout curtains, invest in a couple pairs to darken the windows of your bedroom. You can usually purchase inexpensive ones for about $10 a pair. Develop good sleep hygiene: Sleep hygiene is just a fancy phrase for our bedtime habits. But this can be an important contributor to a better night’s sleep. And an important lesson in biohacking. Try to go to bed at the same time each night, and wake at the same time each morning. Make it a point of taking at least forty minutes to wind down at the end of the day before bed. Do something you find enjoyable, whether it be yoga, reading a book, or simply taking your time getting ready for bed. Try to limit screen time as much as possible during this wind-down period. Download a sleep tracking app: This can be hugely beneficial. While it’s easy to know how many hours of sleep we’re getting each night, it’s not as easy to know what the quality of that sleep really is. A sleep app can help. You can download one for free, and it can help you track the natural highs and lows of your sleep patterns during the night. Not only can these apps provide indispensable insights about your sleep cycles, but you can also set many of them up as your morning alarm. They will wake you at your most optimal window of alertness during your natural sleep cycle for increased energy upon waking. If you live in a big city, then the air you breathe is slowly killing you. Cars are putting toxic chemicals into the air, and all those trace elements add up over long periods of time. The air in your home may be stale and moldy. To fix this problem, go outside. Take a hike. Go camping. Breathe deeply and enjoy nature’s fresh air. Sunlight is more than just a pretty thing to see: it’s a critical part of our body’s chemistry. Sunlight regulates our sleep cycles and provides valuable energy. Go outside and expose your skin to the warm rays of the sun.